Seeing as I just placed a few very large orders ahead of my beach trip and the fact that I won’t be buying any more winter clothes this season, I’m starting to shop my closet and create some new looks featuring items I’ve had for awhile. I’m starting to get in the mood for spring color, so naturally I’m reaching for softer neutrals as opposed to black. 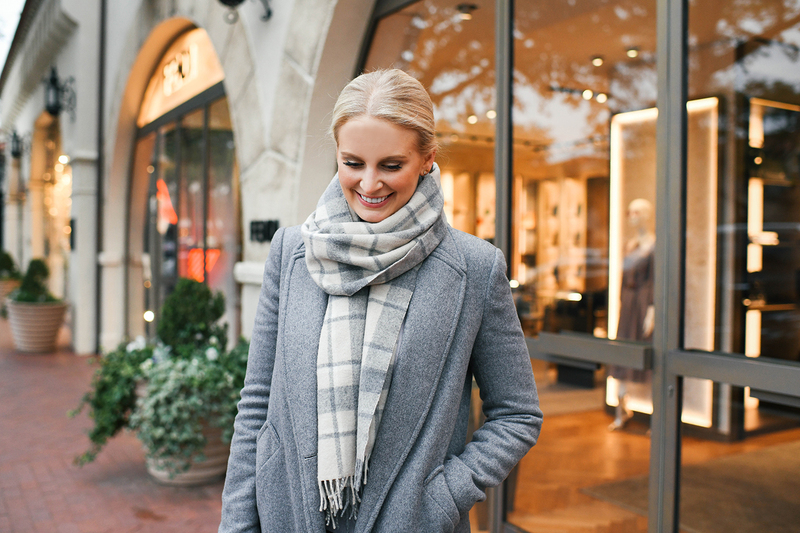 In this look I’m wearing a Zara coat I picked up last year, a J.Crew check scarf I’ve had for who knows how long (seriously, maybe college?! ), and my favorite white booties by Joie from last year. My jeans are these Citizens of Humanity Sculpt skinny jeans I’ve worn repeatedly for the last year and a half! The only new-ish items in this outfit are my bag which I got last summer and my Bop Basics cashmere sweater I picked up before my New York trip this December. This look goes to show that the best basics and neutrals last and can be worn every year. Below are some tips and suggestions for how to get creative with what you already own to construct entirely new and stylish ensembles! A favorite look of the royals and street style stars alike, going monochromatic with your outfit will lend an air of sophistication and a modern touch to your look. 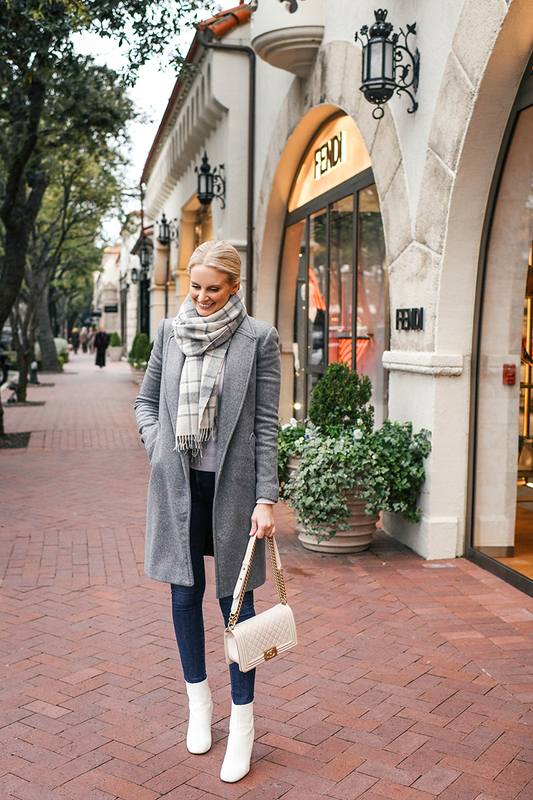 If you have a lot of neutrals already in your wardrobe like I do, try an all grey, all camel or all ivory look for a super chic winter outfit. And if you’re really committed to it, don matching accessories like Kate and Meghan do so often! One might normally only wear white jeans or distressed denim in warmer weather, but both of these items are eye-catching and a great way to mix things up in your winter wardrobe. Pair a white sweater with white jeans and a neutral trench for a stunning daytime look or style your distressed denim with a cozy, oversized sweater and pumps for a rockstar dinner look. White jeans are a great way to incorporate some spring vibes into your wardrobe a little early, and distressed jeans add texture and edge – both can be useful in creating entirely new outfits when paired with some of your winter favorites! Oftentimes prints can look dated quickly (especially if you wear them a lot), so my suggestion would be to mix and match with solid neutral styles. For example, I have dozens of sweaters, tops and coats in black, white, grey, and beige/camel that can be mixed and match easily with each other for an almost unlimited number of looks. 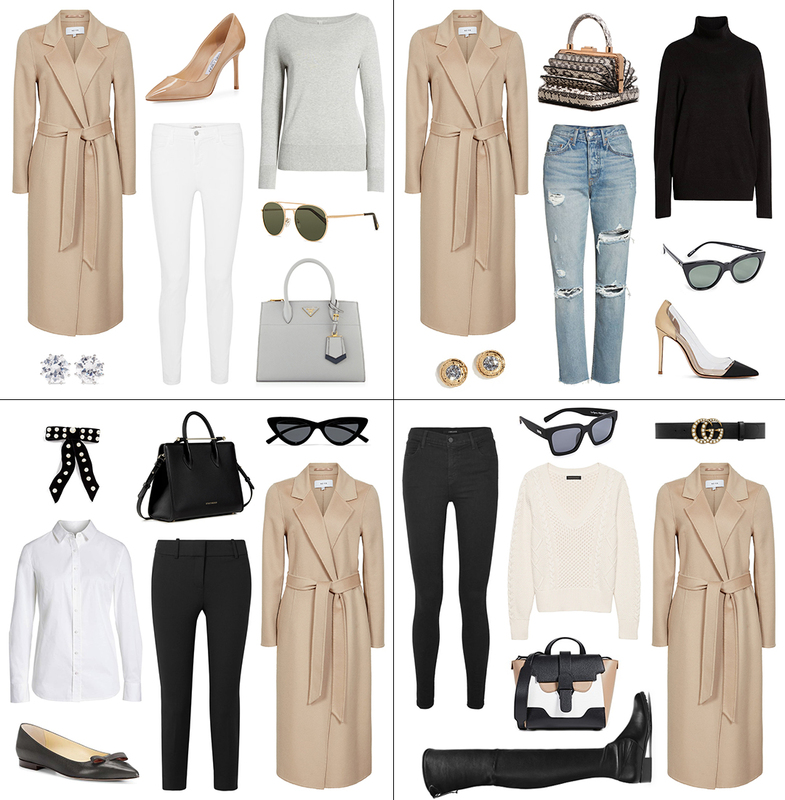 Below is an example of four effortless ways to style a simple beige coat with other wardrobe separates so you can see some of the many styling possibilities available! These are great tips! Lately, I’ve been so uninspired by my closet! Thank you, great ideas! I’m trying not to spend much now too. I have plenty in my closet but just get can get lazy figuring out what I really have instead of buying more because it’s the easy way out. This will come in handy next month when I go to Italy too. I want to pack light, but still look stylish/chic and be warm enough.